Have fun challenging yourself to get quicker, sharper and more skillful with the ball. 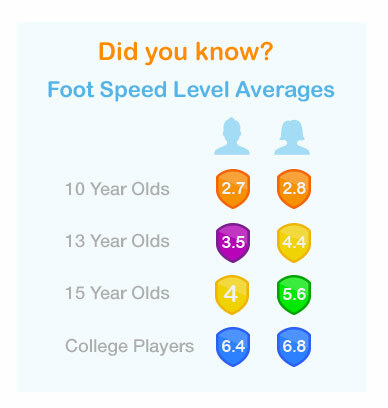 What's your Foot Speed Level? Create your iSoccer account and enter your score to find out! 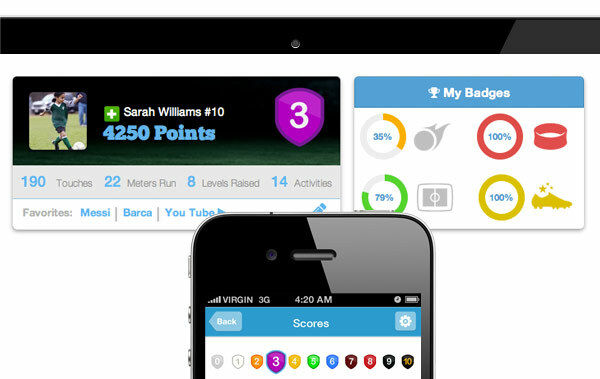 The more you do on the field, like beat your high score on a iSoccer Challenge, the more stuff you earn online for your iSoccer profile! Player Membership Pricing - Free Trial on all Memberships! Do I have to pay anything if I'm joining a team with a Team Code? No. As long as the Team Membership is still active, you can enter the Team Code during registration and start playing iSoccer without having to pay. If the Team Membership is expired, you can either buy Membership or sign up free. Is iSoccer private and secure? Yes! We take the privacy of our members very seriously, especially our youngest members who use iSoccer everyday! Is playing iSoccer fun? Will it help me improve?